you can purchase this mask either on ebay, sasa.com or google it, they should be around $10-18 per box of 10pack anything higher than 18 is too expensive. 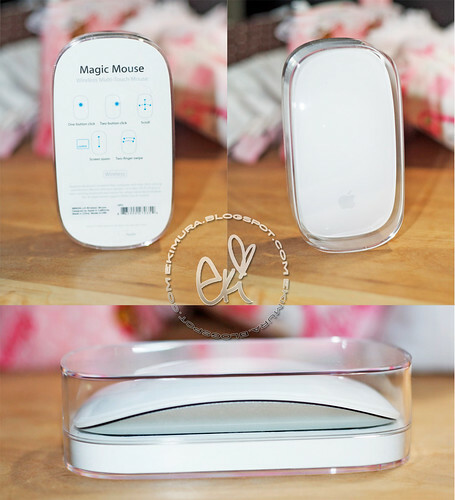 was released 10/20, Apple have not updated their mighty mouse since 05 so this is a big change and its a great upgrade, I was like its about time they made a new model because I really dont like the mighty mouse! This will come included if you purchase the new imacs, the price for the magic mouse is $69 at apple. whoa cool mouse! I want one now! Very cute tags! That was so sweet of your friend to send you the masks like that. You are very fortunate! Nice review of the the magic mouse too. I was just talking to my husband about mouses and stuff pertaining to my current inability to create decent graphic art. I hope you have a great day. Take care & love! wow I like the new mouse! very sleek and white! also, my beauty diary mask feel very very soothing on the skin! love it! love everything u create, I hope I will be able to purchase your creation in near future! wow, so many masks! can't wait for your reviews! the stamp looks so cute! 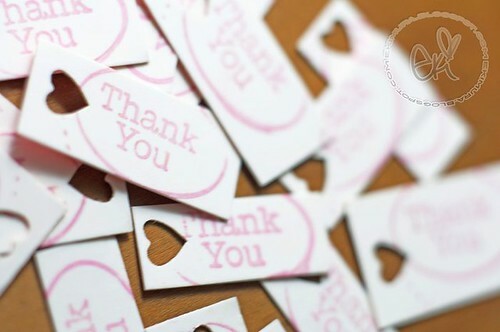 love your thank you tags!! ALSO LOVE THAT STAMP!! Great for cardmaking! ehhehe and i really like your heart punch out! very cute! You are so lucky! 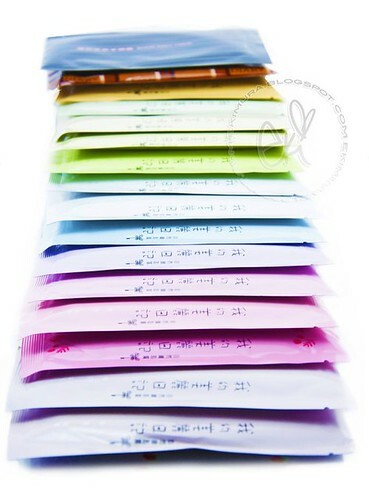 I've only tried a few of the My Beauty Diary masks: wine, pearl, bulgarian rose and Q10. I think they came out with new ones since I tried them. But I am hoping to get more soon because they're inexpensive but not bad. I HAVE to get one of those mice for the other half for Christmas! wow that's a lot of masks!! lucky lucky girl :D And the stamps are super cute!! Aww, lovely mail! That is a pretty incredible collection of masks! And ohh - my friends and I went to see the Mighty Mouse in stores yesterday! It looks and feels like sooo much fun. I think one of my friends is dead set on ordering it now hehe. i checked out the new mouse up in sf and it's pretty nice! i'm thinking i want a new keyboard over a new mouse, haha but that's just because i have a regular clunky keyboard, not apple's. 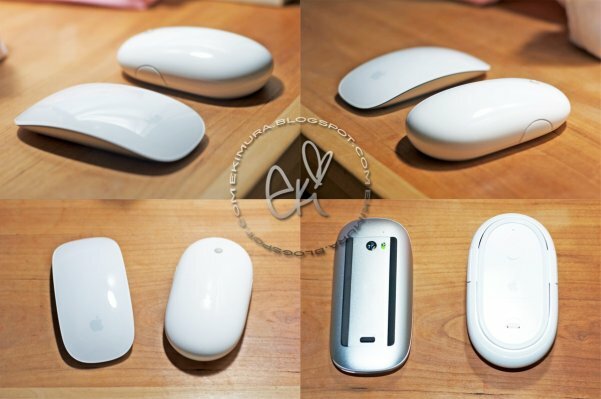 And the mac mouse looks so cool, the shape is much smaller than the original.. I need to get a mac someday. Thanks for the review! lots of people love you here in the blogging world,right? im pretty sure you'll have a grand time pampering your skin with those masks. That mouse looks so sleek! & that's such a nice stamp. 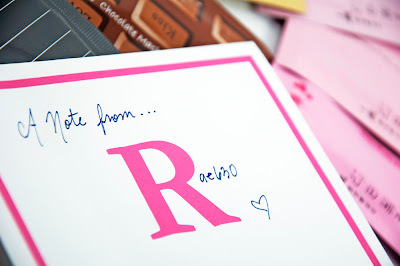 It's so cute & personalize at the same time. How sweet of Rina to send you ALL the MBD masks! :) I love the few I've tried from Yume! How sweet are YOU! 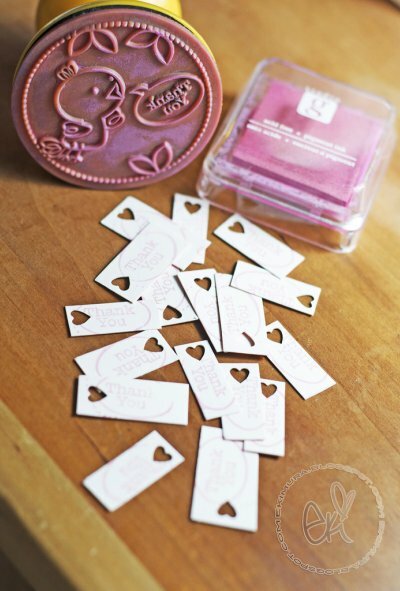 Making hand stamped hand punched tags for your customers! Eki LOVE is an understatement! I'm so glad you liked my photo blog. :) I just got my dslr about a month ago so I'm very new to using it. I LOVE your photos on here. Everything on your blog is so visually appealing. It makes me what to buy everything! Hehe. I think I'm going to try these masks though. I have this silly infatuation with Asian Beauty Products. oooh purty mouse! Looks like I'll be going to the apple store ^^. Looks like I'll need to invest into a usb hub since my macbook only has 2 ports :S. I went to T&T Supermarket today and bought my first box of My Beauty Diary Masks. They were selling them for $14.99 CND per box (10 pieces). Since I'm sharing with my mom I went with the black pearl masks ^^. 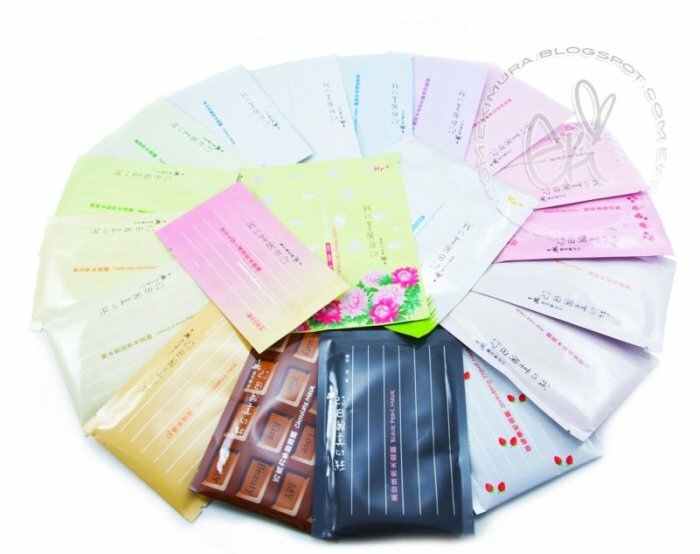 I want to try the chocolate and the strawberry masks cuz it looks so yummy, hahaha. what a pretty rainbow of masks! 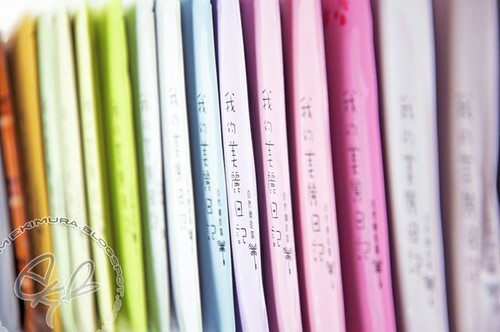 i like the yogurt, sake yeast, and black pearl masks, but there are many others i want to try! the new apple mouse looks great!